With AVEA technology and excellent SRS sound, the Micromax 50C1200FHD LED TV offers a crystal clear and lively Full HD viewing experience. Thanks to the Audio Visual Entertainment Architecture, this Micromax LED TV exhibits real-to-life videos and enhanced audio for a remarkable home-theatre like experience. Watch pictures come alive on the beautiful 49" Full HD screen of this Micromax TV. With a 1920x1080 resolution and a dynamic contrast ratio of 1200:1, this Micromax LED TV does a pretty good job when it comes to picture reproduction. This Micromax TV features a Zero Bright Dots LED Panel which ensures that you get to watch your favourite programmes in brilliant picture quality. With the SRS audio system and the 5 Band Equaliser, experience an immersive sound experience. You can also customize the sound to your choice. 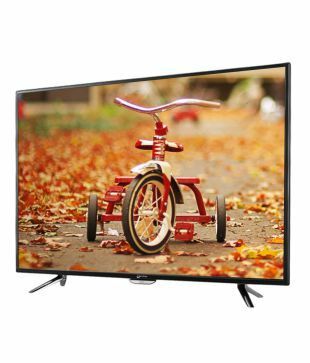 Watch all your favourite movies and videos in Full HD on the beautiful 49" big screen. Connect your devices to this Micromax TV via the 2 USB ports and 2 HDMI ports. 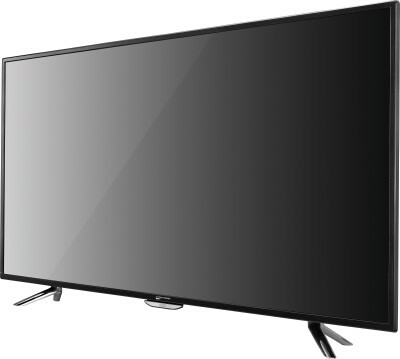 Thanks to the AVEA technology, this Micromax LED TV consumes very less power of 120 watts. At standby, it consumes less than 1 watt power.